Possible fashion trend for 2009: Circuit bent clothes??!? Now what is that? Conductive fabric, which enables you to detect when your hand is near a certain of the fabric. 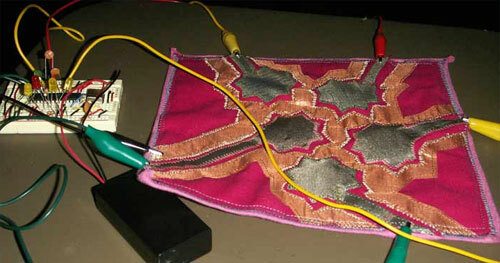 The orange piece of fabric works as a ground plane, and the gold coloured patterns are used to detect capacitance. When you hold your hand near a certain area, the capacitance goes up which can be detected by the microchip on the breadboard. Cyberpunk Comic for PSP - Gotta check this one out. Japanese Cyber Girl - Not from Akiba, but from Nippombashi, where the Osaka otaku hang around! Or check all their tech art posts or check the front page. 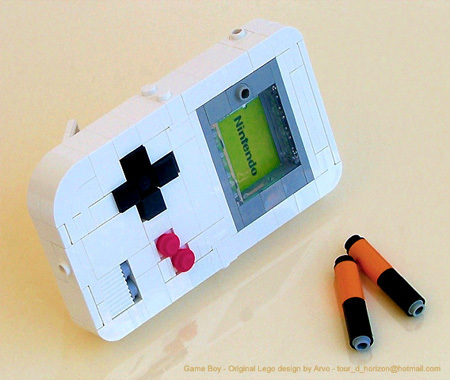 This page was previously hosted on http://gameboygenius.8bitcollective.com/wordpress/category/circuit-bending/ (*).